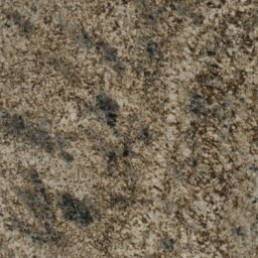 Granite… you’ve seen it, you love it, and you want it for your home. 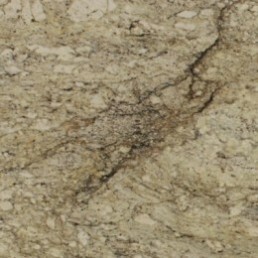 When you think of granite, elegance, quality, durability, unique beauty, smart investment… all come to mind. 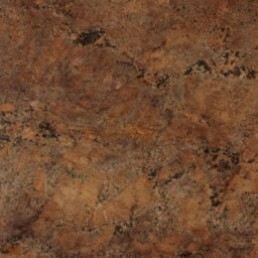 The natural beauty of granite adds warmth, character and a new level of elegance to any room. Homeowners have fallen in love with its distinctively unique look and durability. Businesses have found that it adds a “touch of class” to offices, clubs and retail settings. Granite makes a positive statement about any organization. Regardless of where you imagine having it installed, you’re going to love it. Every granite countertop we fabricate is custom – no two countertops are ever the same. Granite is extremely durable and easy to maintain. Unlike laminates and other synthetic surfaces, granite has the ability to withstand extreme temperatures and is the hardest countertop material available. Our granite comes from quarries all over the world including Europe, Asia, the South America and the United States. Our suppliers go to great lengths to offer a premium granite selection that is diverse, highly unique and universally appealing. Whether your decor is rich and elegant, or conservative and simple, you’ll find granite to be a perfect and beautiful complement to any home or business. It’s never been easier or more affordable to add enhanced value and a new touch of class to your home that only granite can. It truly does offer a quality and richness that is unmatched. For daily cleaning use mild dish soap like Ivory®, warm water and a soft clean cloth. You can also use any water based spray cleaner such as clear vinegar formula Windex® or Natural Stone Cleaner 409® (as recommended by the Marble Institute of America). If a film, smudges, or streaks develop, use vinegar diluted with water (1 part vinegar to 3 parts water) and a soft clean cloth to remove it. Your countertops have been sealed prior to installation. Some stones will only need sealing every few years depending on the stone’s porosity and your daily use of the countertops. To determine if your countertop needs resealing, perform a “water test”. Place some water onto your stone. If within 15-20 minutes the water begins to absorb into the stone, it is time to reseal. Wait for the water spot to evaporate before resealing. Few granite and most marble, limestone, and travertine require an immediate application or multiple applications of sealer by the homeowner. The natural porosity of these stones and its use in your home requires them to have more initial sealing. Sealing works as a stain inhibitor and prevents most stains and soil from being absorbed into the surface, but it is NOT a guarantee against staining.To seal your granite countertops, we recommend the Stone Tech Professional Care System which is available through Granite-Tops. Other stone sealers are available through any stone/tile retail location. 1. Be certain your countertops are clean and free of spills. Stains should be removed prior to sealing. You will need 3 clean, dry, soft cloths and stone sealer. 2. Pour a small amount of sealer, about the size of the bottom of a pop can, onto the countertop and distribute evenly with a dry cloth. Pour more sealer onto the stone as you move onto other areas of the surface. 3. Allow the sealer to penetrate the stone for at least 15-30 minutes. If the sealer is quickly soaked up by the stone, which is common with marble, limestone, travertine, and onyx, repeat step 2. 4. Take another dry cloth and wipe the excess sealer off while it is still wet. If the sealer is already dry, apply a bit more sealer and wipe it off. This will remove any residue. 5. Once all excess sealer is removed, use a clean dry cloth for a final wipe down. Contact one of our locations to purchase sealer or daily cleaning products.